The 2018 Kaveri River water dispute is a series of ongoing protests on the issue of water sharing problems from the River Kaveri between Tamil Nadu and Karnataka which are the two main states of India. The Kaveri water dispute has been a major controversial issue between Tamil Nadu and Karnataka over the years and the issue has been raised further with protests have been conducted across the state of Tamil Nadu by several groups including from the large pile of actors and directors who have temporarily stopped working on their projects, films over the Karnataka's sharing the Kaveri water to Tamil Nadu. The delay in establishing a Cauvery Management Board inorder to share equal river share award has sparked off protests in Tamil Nadu against the Karnataka state government. This issue is often used to be a hottest scenario between the two states in the sport of cricket (as the arch rivalry) between Chennai Super Kings and Royal Challengers Bangalore in the Indian Premier League. Several film makers of the Tamil film industry has also criticised and threatened to postpone the IPL matches involving Chennai Super Kings which are to be held in Chennai as a part of the 2018 Indian Premier League season as Chennai Super Kings making their comeback into the IPL league after 2 years as they were serving a 2-year ban along with Rajasthan Royals over the 2013 IPL betting scandal. This situation in Tamil Nadu has been a major concern along with the Nadigar Sangam's strike against the increase of VPF charges which has left the South Indian state vulnerable with no new film releases for about 50 days. The Karnataka Legislative Assembly election, 2018 which was a major concern in the state of Karnataka following the breakout of major Kaveri river water scandal has heaped in among several political dramatic turnarounds in the state with both main politicians B. S. Yeddyurappa and Siddaramaiah being historically defeated at the assembly elections. The genesis of this conflict rests in two agreements in 1892 and 1924 between the Madras Presidency and Kingdom of Mysore. The 802 kilometres (498 mi) Cauvery river has 44,000 km² basin area in Tamil Nadu and 32,000 km² basin area in Karnataka. The inflow from Karnataka is 425 TMC ft whereas that from Tamil Nadu is 252 TMCft. However the Karnataka state does not agree with the sharing of drinking water with the South Indian state, Tamil Nadu, which has been followed according to the British era agreement. The state also believes that the British agreement is a very old one and needs to be renewed because of the rainfall patterns. Karnataka desperately wanted to receive more water share from the River Cauvery and this would ultimately reduce the share of water to South Indian states such as Tamil Nadu, Puducherry and Kerala. Due to these arguments this has been the unsolved issue between the two states in the recent times. On the other hand, there have been numerous criticisms and controversies regarding Karnataka and Tamil Nadu in the past, as the state has failed to deliver an expected water level to Tamil Nadu in the previous years due to draught despite the court order which has advised the Karnataka government to supply the amount which is expected by Tamil Nadu. Whereas Tamil Nadu has often demanded its complete share without considering the facts of insufficient rains and draught situation in Karnataka. Supreme Court (SC) on 9 January 2018 declared that it would pronounce its verdict clearing all the pending cases and the confusion within a month. On 16 February 2018, the Supreme Court has pronounced its verdict. The Supreme Court urged to reduce 14 tmc water allocation to Tamil Nadu and requested Karnataka to release only 177 tmc of water to Tamil Nadu for next 15 years. The verdict also mandated to formally constitute the Kavery river management board by the union government within 40 days for implementing strictly the tribunal award and its verdict. Karnataka shown its unhappiness in setting up Cauvery Management Board for monitoring water availability and use as part of the Supreme Court verdict. Union government is also not comfortable with the SC verdict to form the Cauvery management board with in the stipulated period. The reallocation of water by the three member SC bench among the both states Tamil Nadu and Karnataka, is considered as deviation from earlier rulings given by bigger benches of SC in terms of changing the water allocations to a state by reviewing water allocations of a tribunal. Per Article 262, the role of SC in an interstate water dispute is limited only to the interpretation and implementation of the tribunal order and to examine whether tribunal exceeded its limit by violating the constitution and the Interstate River Water Disputes Act. However the Supreme Court pulled out to establish the Cauvery Management Board as the Centre failed to submit the documents within the deadline and asked the Centre to formulate and draft the Cauvery Management scheme by May 3. The SC also directed the authorities of both Tamil Nadu and Karnataka to maintain calm and peace in the meantime. With the Central government ignoring the Supreme court verdict to prepare a plan for Cauvery water management board within the time limit and the reason mentioned for that in the court is the law and order situation in Karnataka, tensions mounted among the people in Tamil Nadu. The Thamizhar Ilakiya Katchi was formed which includes veteran director P. Bharathiraja, Naam Thamizhar Katchi chief coordinator Seeman, Thamizhaga Vaazhvurimai Katchi leader Velmurugan, director Ameer and many others. Several peaceful protests have been held across Tamil Nadu to give pressure to the Central government including protests before post offices and other Central government offices by this group. The Central government turned deaf ears and didn't respond for the protests. IPL season was nearing and youngsters in social media were suggesting to boycott the IPL to draw international attention to the issue. Thousands of people started gathering near the MAM Chdiambaram stadium on the day of the match. Naam Thamizhar Katchi leader Seeman, directors Bharathiraja, Ameer, Vetri Maran and lyricist Vairamuthu reached the spot. The protesters pushed through rows of barricades set up by police to march to the stadium, where the match was about to begin.“It is a fight for Cauvery and a fight against police atrocities,” said Vairamuthu.“The struggle for getting Cauvery has been for a long time and we will get it at any cost. This protest will make the government to take every initiative to form CMB. Cauvery is the lifeline of the State,” said Seeman. On 18 May, the Supreme Court ordered that a marginal amount of 14.75 TMC water is to be supplied to Karnataka while Tamil Nadu would receive an amount of 177 TMC. The farmers in Tamil Nadu state have found themselves buried in the banks of the Kaveri river as they couldn't able to receive sufficient water which is necessary for farming. The farmers also demanded to establish the Cauvery Management Board to solve the water crisis. On 7 April, the DMK chief M.K Stalin led the protests from Trichi to recover the Cauvery water sharing rights from Karnataka. On 11 April, the PMK followed and proceeded a rail strike and harthal from morning to evening. The home matches of the Chennai Super Kings in the 2018 IPL season are under threat following the Cauvery river dispute and about 4000 security personnel were deployed in wake of the homecoming match for CSK against the Kolkata Knight Riders on April 10, 2018 at the M. A. Chidambaram Stadium. Amidst the IPL boycott threat over the Cauvery water controversy, the fans came in huge crowd to welcome and support the Chennai Super Kings team in the home soil during the clash against KKR. During the 8th over of the contest between CSK and KKR, few spectators who were inside the Chepauk Stadium threw shoes near the boundary line which fell close to Ravindra Jadeja who was fielding near the boundary rope. Madras high court issued a notice to BCCI after a PIL was filed seeking stay on IPL. The IPL chief, Rajiv Shukla earlier announced that the IPL matches would proceed in Chennai as usual and ordered the security officials to provide extra security for the upcoming IPL matches which are to be held in Chennai. However, later BCCI announced that the all 6 home matches of Chennai Super Kings are to be shifted out from hosting them in Chennai as the cops, security personnel couldn't able to control the protesters. The protesters were protesting against hosting the IPL matches outside the M.A Chidambaram Stadium and shown their undesire by burning the jerseys of CSK franchise. It was earlier rumoured that Dhoni's home city, Ranchi could be the neutral venue for the home matches of the Chennai Super Kings team. The home matches of the team were also assumed by the reports to be hosted in the state of Kerala. The Board of Control for Cricket in India later revealed that Pune would be the new temporary home ground for CSK. On 8 April, the Tamil Film Fraternity organized a silent protest at Valluvar Kottam in Chennai. Veteran actors, including Sathyaraj, Rajinikanth, Kamal Haasan, Vijay, Dhanush, and Vishal joined the protest, demanding the Central Government to resolve the dispute. Rajinikanth, Kamal Haasan and Sathyaraj also requested the CSK cricket team players to wear black badges and black bands to show the support for the protests against Karnataka on the Kaveri water share issue. Tamil actor Simbu, who stayed away from the protest, clarified his stance in a press meet. He mentioned that he believes that the people of Karnataka have no issues in sharing Cauvery water with Tamil Nadu. He condemned the politicising efforts of the media and various political parties. He further requested the people of Karnataka to share a glass of water to their Tamil friends and post videos of the same on social networks, as a symbol of their truce with the people of Tamil Nadu. While this provoked criticism and ridicule in Tamil Nadu, it was well-received in Karnataka. And as requested by Simbu, on the 11th of April, between 3pm and 6pm, a large number of Kannada people in and around Bengaluru started posting photos of them physically handing over bottles of water to their Tamil friends. Actor Anant Nag appreciated Simbu for being more matured than Kamal Haasan and Rajinikanth in this issue and criticised both the veteran Tamil actors Rajnikanth and Kamal Haasan stating that the actors are trying to politicising the Kaveri water share between the two states. Despite some controversies, Simbu's initiative has managed to bring about a significant change in the mindset of people of both states. RJ Balaji, a RJ turned actor who regularly works as a commentator for the Star Sports Tamil, a leading sports channel in India which has got the rights from hosting the 2018 IPL matches refrained himself from doing commentary just prior to the start of the match between Kolkata Knight Riders and Chennai Super Kings as the protests broke out against hosting the Indian Premier League matches in the Tamil Nadu capital on the cause of Cauvery issue. RJ Balaji also hinted that he would not work as a commentator for the upcoming matches involving Chennai Super Kings. He also later slammed the people of Tamil Nadu for the shift of the IPL league matches from Chennai to a different neutral venue and also argued that it is not correct to stop the professionals from doing their jobs in a peaceful way after he was forced to quit commentary on IPL matches. The Indian Prime minister Narendra Modi was also scheduled to visit Tamil Nadu on 12 April to inaugurate the Def-Expo, infrastructure projects and the Dravida Munnetra Kazhagam chief, M. K. Stalin stated that the opposition party would waive black flags during Modi's visit to the ravaged state. The opposition party DMK has also asked the people to hoist black flags in the wake of the Prime Minister's visit inorder to oppose his visit. The Kollywood had earlier planned not to release local Tamil language films in Tamil Nadu as of 1 March 2018 due to the conflicts between Nadigar Sangam and Digital Service Providers on the increase of VPF charges which has tremendously affected the South Indian film industry. It is expected that the film industry has been kept losing 2-3 crores daily due to the standoff between Tamil Film Producers Council and cinema theatres in Tamil Nadu. In addition to the continuous Tamil film industry strike over the VPF charges which was started around March, in April the industry has also called the boycott over the IPL matches in Chennai and also continued their motive by not to release Tamil films over the Cauvery water row. The Kollywood proceeded their hunger strike until the establishment of the Cauvery Management Board to solve the water crisis. The film industry had also stopped shooting for their upcoming important movies including Thalapathy 62, Viswasam and NGK until 19 April. Rajinikanth's upcoming mass budgeted films such as Kaala and 2.0 have also postponed to be released after the month of April as they were expected to be released in April coinciding the CSK IPL matches. Mercury, a silent thriller film of Prabhu Deva was released in other states of India on 13 April 2018 whereas in Tamil Nadu the film had delay in its release and was finally released on 20 April soon after the Kollywood's decision to end its strike on 19 April. This film was also the first film to have been released in Tamil Nadu around 50 days. Karthik Subbaraj, the director of the film Mercury apologised for not releasing the film in Tamil following the industry's continuous strike since March 2018 which resulted in a huge loss to the film industry within a month. On 19 April 2018, the film industry finally ended their strike even without the establishing of the Kaveri Management Board and pointed out to release new films in Tamil Nadu despite the continuous protests over the water sharing issue. The social media and CSK supporters deeply criticised the Tamil film industry for allowing new Tamil film releases in the state even without the construction of the Cauvery Management Board but to boycott the IPL matches involving Chennai Super Kings in Chennai. The Karnataka Film Chamber and Commerce stated that the Kaala film which is scheduled to be released on June 7 would be banned from its theatrical release in Karnataka citing the Rajinikanth's influence over the Kaveri water share dispute where he went onto criticise the Karnataka state and the government for not issuing the sufficient amount of water to Tamil Nadu. Actor Vishal stated that necessary actions would be proceeded with immediate effect to lift the ban on Kaala's theatrical release in Karnataka. The Karnataka Legislative Assembly election, 2018 which was held on 12 May 2018 sparked criticisms from Tamil Nadu over the Karnataka's government for not addressing the issue properly and for its delay in setting up a Kaveri Management Board. The Supreme Court also issued a strict notice to the Karnataka state government for using the Karnataka Legislative state election as an excuse to resolve the Kaveri riverwater crisis with Tamil Nadu cannot be acceptable. ^ "Cauvery dispute: SC pulls up Centre, says submit plan by May 3". The Indian Express. 2018-04-10. Retrieved 2018-04-10. ^ "Tamil Nadu film directors call for IPL boycott over Cauvery water dispute". India Today. Retrieved 2018-04-10. ^ "TFPC strike explained: Why Tamil film producers are refusing to back down". The Indian Express. 2018-03-13. Retrieved 2018-04-29. ^ "Karnataka Elections 2018: A look at the numbers which may shape political future of many in the state". Moneycontrol. Retrieved 2018-05-18. 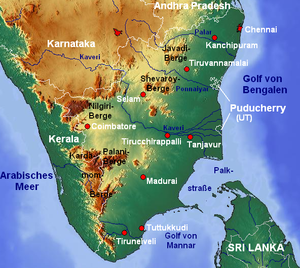 ^ "Cauvery River basin map". Retrieved 2018-04-10. ^ "Cauvery dispute: Two agreements under British rule and all that followed". The Indian Express. 2018-04-09. Retrieved 2018-04-10. ^ Desk, The Hindu Net; Venkatesan, J.; Venkatesan, J.; Venkatesan, J.; Venkatesan, J.; Prabhu, Nagesh; Prabhu, Nagesh; Ramakrishnan, Deepa H.; Ramakrishnan, Deepa H. (2018-02-15). "The Cauvery river dispute over the years". The Hindu. Special Correspondent, Special Correspondent, Special Correspondent, Special Correspondent, PTI, PTI. ISSN 0971-751X. Retrieved 2018-04-10. ^ "Cauvery verdict within a month: Supreme Court". 9 January 2018. Retrieved 2018-04-10. ^ "CM says no to Cauvery Management Board". Retrieved 22 February 2018. ^ "Gadkari sees no time frame for setting up Cauvery management board". Retrieved 27 February 2018. ^ "Is the Supreme Court verdict on Cauvery fair?". Retrieved 27 February 2018. ^ "A river runs through it". Retrieved 27 February 2018. ^ "Cauvery water dispute: SC pulls up Centre for failing to implement verdict, seeks draft by May 3". The Indian Express. 2018-04-09. Retrieved 2018-04-10. ^ "Cauvery water dispute: Supreme Court directs Centre to formulate draft scheme by 3 May, asks state govts to ensure peace - Firstpost". www.firstpost.com. Retrieved 2018-04-10. ^ "Security concerns over CSK-KKR match in Chennai". Retrieved 2018-05-31. ^ "Cauvery water dispute verdict highlights: Karnataka to get 14.75 TMC additional water; Tamil Nadu to get 177 TMC LIVE News, Latest Updates, Live blog, Highlights and Live coverage - Firstpost". www.firstpost.com. Retrieved 2018-05-18. ^ ANI (2018-04-06). "Cauvery water dispute: Farmers bury themselves in sand in TN". Business Standard India. Retrieved 2018-04-10. ^ "Stalin kicks off rally for Cauvery rights". தினமணி. 2018-04-07. Retrieved 2018-05-24. ^ "காவிரி பிரச்சனை: சேலத்தில் ரயில் மறியல்; திருச்சியில் விவசாயிகள் தண்டோரா போராட்டம்". பி.பி.சி. செய்திகள் தமிழ். Retrieved 2018-05-24. ^ "No threat to CSK home game amid protests". ESPNcricinfo. Retrieved 2018-04-12. ^ "4,000 security personnel to be deployed for Chennai IPL match in wake of Cauvery protests - Times of India". The Times of India. Retrieved 2018-04-10. ^ "Protests over Cauvery find new ground in IPL". Times of India. Retrieved 2018-04-10. ^ "Cauvery Issue: Admist Strong IPL Protests, Match Between Chennai Super Kings (CSK) And Kolkata Night Riders (KKR) Begins". NDTV.com. Retrieved 2018-04-11. ^ "Protesters throw shoes during CSK-KKR game - Cricbuzz". Cricbuzz. Retrieved 2018-04-12. ^ "IPL 2018: Madras HC hears PIL seeking stay on forthcoming season, issues notices to BCCI and Centre". Firstpost. Retrieved 2018-04-10. ^ "IPL 2018: Chairman Rajeev Shukla Asks for Extra Security for Chennai Games Amidst Cauvery Water Dispute". News18. 2018-04-10. Retrieved 2018-04-11. ^ "IPL 2018: Ravindra Jadeja expresses unconditional love for Chennai fans despite shoe-throwing incident". The Indian Express. 2018-04-11. Retrieved 2018-04-12. ^ "IPL 2018: Pune to host Chennai Super Kings' remaining home matches". India Today. Retrieved 2018-04-12. ^ Dinakar, S. (2018-04-11). "A painful Wednesday for Chennai Super Kings". The Hindu. ISSN 0971-751X. Retrieved 2018-04-12. ^ "IPL 2018: Chennai Super Kings Games to be Shifted From Chepauk Due to Cauvery Water Dispute". News18. 2018-04-11. Retrieved 2018-04-12. ^ "Cauvery protests force IPL out of Chennai, Pune is new CSK home". The Indian Express. 2018-04-12. Retrieved 2018-04-12. ^ "Cauvery turmoil forces BCCI to shift CSK home games to Pune - Times of India". The Times of India. Retrieved 2018-04-12. ^ "Dhoni to return to Pune as CSK forced to move home venue". ESPNcricinfo. Retrieved 2018-04-12. ^ "Tamil film industry set to protest over Cauvery, Sterlite issues". The Indian Express. 2018-04-03. Retrieved 2018-04-29. ^ "Actors Vijay, Nassar protest in Chennai over Tamil Nadu-Karnataka Cauvery water issue". Zee News. 2018-04-08. Retrieved 2018-04-29. ^ "Kamal Haasan, Rajinikanth add star power to Cauvery protest in Chennai". India Today. Retrieved 23 April 2018. ^ "Cauvery water dispute: Opposition to Chennai hosting IPL 2018 matches another instance of league becoming soft target for rabble-rousers- Firstcricket News, Firstpost". FirstCricket. Retrieved 2018-04-11. ^ "Chennai Super Kings players should wear black band as part of Cauvery protests: Actor Rajinikanth". The New Indian Express. Retrieved 2018-04-29. ^ "STR's noble thought to solve Cauvery issue, will people of Karnataka oblige?". Retrieved 23 April 2018. ^ "Missing Tamil movies? Simbu's press meet could be your closest YouTube equivalent". 9 April 2018. Retrieved 23 April 2018. ^ "Karnataka celebrates STR, amazing response to his noble idea!". Retrieved 23 April 2018. ^ "Rajinikanth, Haasan Toeing the Line of Typical Tamil Politicians on Cauvery Issue: Actor Anant Nag". News18. Retrieved 2018-04-12. ^ "RJ Balaji backs out of CSK commentary". www.deccanchronicle.com. 2018-04-12. Retrieved 2018-04-12. ^ "R.J. Balaji gives up IPL match for Cauvery issue - Tamil Movie News - IndiaGlitz.com". IndiaGlitz.com. Retrieved 2018-04-12. ^ "RJ Balaji backs out of CSK match commentary for Cauvery issue - Times of India". The Times of India. Retrieved 2018-04-12. ^ "Narendra Modi to visit Tamil Nadu tomorrow: PM to inaugurate Def Expo-2018, infrastructure projects - Firstpost". www.firstpost.com. Retrieved 2018-04-12. ^ "Ahead of Narendra Modi's Tamil Nadu visit, protests urging setting up of Cauvery Water Management Board intensify - Firstpost". www.firstpost.com. Retrieved 2018-04-12. ^ "Narendra Modi in Tamil Nadu: Opposition, pro-Tamil organisations to hold black flag protests against PM - Firstpost". www.firstpost.com. Retrieved 2018-04-12. ^ "Hoist black flags during PM Modi's visit: DMK to Tamil Nadu people". The Indian Express. 2018-04-10. Retrieved 2018-04-12. ^ "One month on, no new Tamil movies released: Where does the film industry's strike stand?". The News Minute. 2018-04-02. Retrieved 2018-04-29. ^ "Kollywood strike: Tamil film industry is losing Rs 3-4 cr every day due to standoff between producers, theatre owners- Entertainment News, Firstpost". Firstpost. Retrieved 2018-04-29. ^ "Tamil film fraternity launches hunger strike for Cauvery Management Board; Rajinikanth, Kamal Haasan join". The New Indian Express. Retrieved 2018-04-29. ^ "Is the release of 'Kaala' getting postponed? - Times of India". The Times of India. Retrieved 2018-04-29. ^ "Venkat Prabhu praises Karthik Subbaraj's 'Mercury' - Times of India". The Times of India. Retrieved 2018-04-29. ^ "Karthik Subbaraj's 'Mercury' to release in TN on April 20, first Tamil film in 50 days". The News Minute. 2018-04-19. Retrieved 2018-04-29. ^ "Karthik Subbaraj apologises for not releasing Mercury in Tamil - Times of India". The Times of India. Retrieved 2018-04-29. ^ "No to IPL but yes to films? Social media slams Tamil industry for selective outrage". The News Minute. 2018-04-19. Retrieved 2018-04-29. ^ "Rajinikanth's Kaala won't be released in Karnataka - Times of India". The Times of India. Retrieved 2018-06-03. ^ "Rajinikanth's Kaala will not release in Karnataka over Cauvery issue; Kamal Haasan's Vishwaroopam 2 could face similar ban- Entertainment News, Firstpost". Firstpost. Retrieved 2018-06-03. ^ "Actor Vishal reacts to Kaala ban in Karnataka". India Today. Retrieved 2018-06-03. ^ "'Kaala' banned in Karnataka: Vishal reacts to the issue - Times of India". The Times of India. Retrieved 2018-06-03. ^ "Karnataka election insights: The politics of the Cauvery water dispute - Times of India". The Times of India. Retrieved 2018-05-18. ^ Jacob, Litta (2018-05-11). "Karnataka elections 2018: key regional issues". The Hindu. ISSN 0971-751X. Retrieved 2018-05-18. ^ "Supreme Court tells Centre Karnataka elections not an excuse to resolve Cauvery water sharing dispute". The Telegraph. Retrieved 2018-05-18.